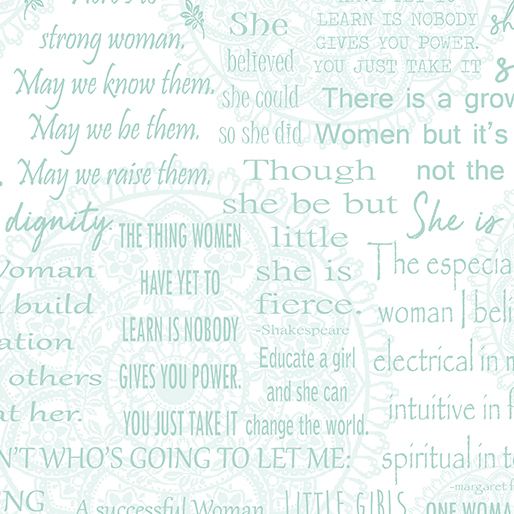 What a cool idea: fabrics with quotes about women! 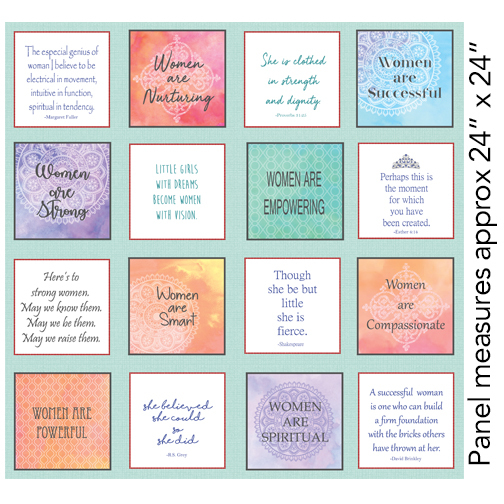 There’s a “Women Are” panel (“She is clothed in strength and dignity”, “She believed she could so she did”, and more), and a “women are” words print, where words about women are the fabric design. 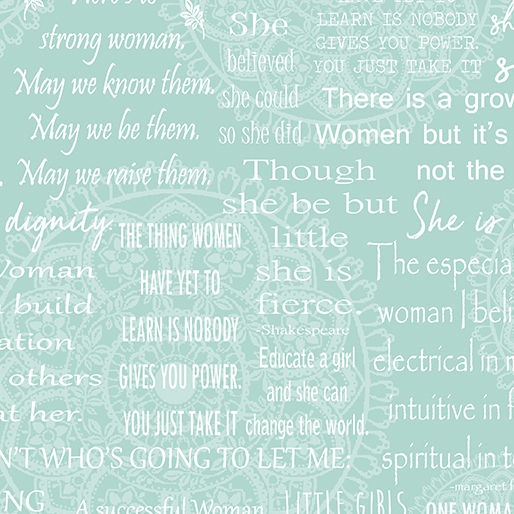 A great idea for recognizing a favorite woman - grandmother, mother, aunt, teacher, volunteer… the list could go on and on. 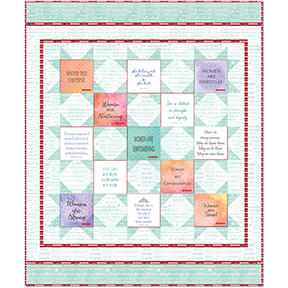 The project could be very simple, yet effective - just use the word print as a border for the panel! Or… you may cut apart the box print to make multiple gifts (pillows, bags, etc).